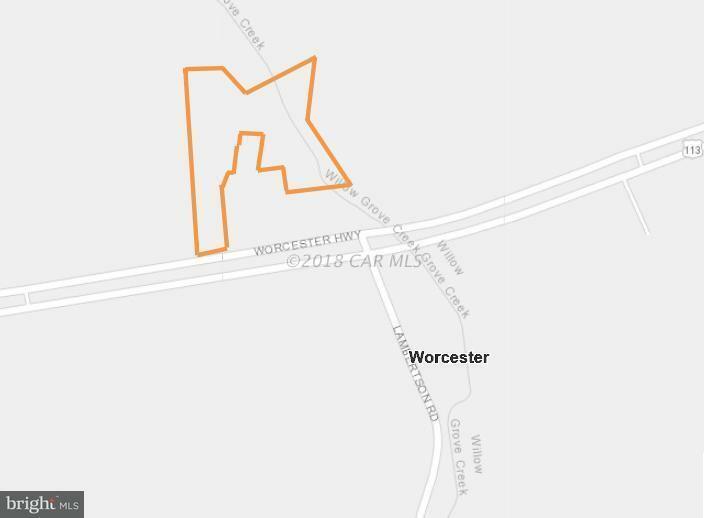 Unimproved land on NW side of Worcester Hwy just south of Lambertson Rd. 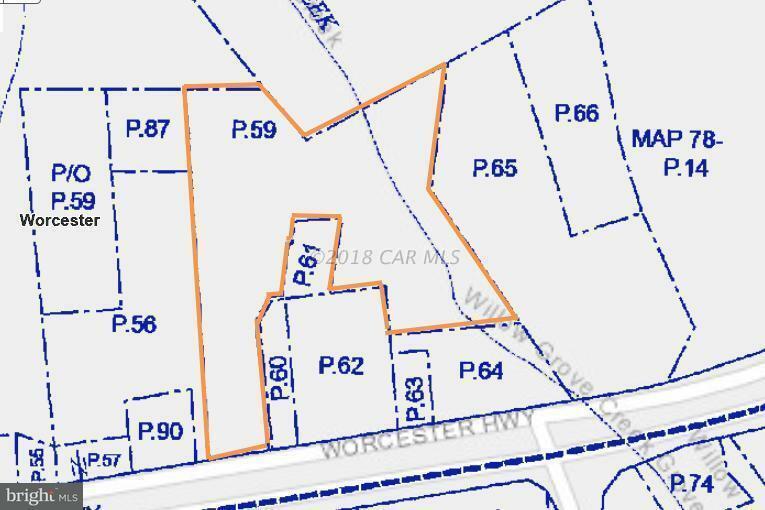 Land has road frontage and expands behind several houses on Worcester Hwy. THE TAX PARCEL SHOWN IN COUNTY RECORDS IS INCORRECT. THE SMALLER RECTANGULAR SECTION SHOWN TO THE LEFT IN COUNTY TAX MAP DOES NOT EXIST. 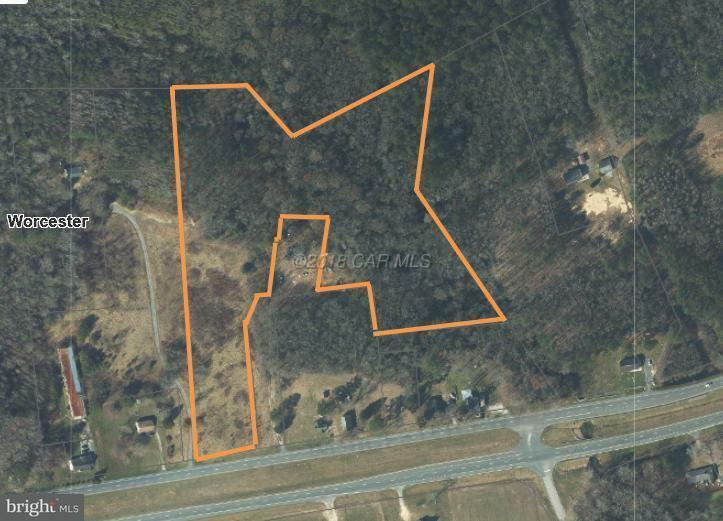 SELLER BELIEVES AGENT DRAWN PARCEL OVERLAY SHOWN HERE IS MORE ACCURATE. The 18.3 acres is shown by MD Dept of Assessments. Buyer or Buyer's agent should do their own due diligence to confirm all information regarding the acreage, boundaries, schools and taxes to their own satisfaction. Hunting land. 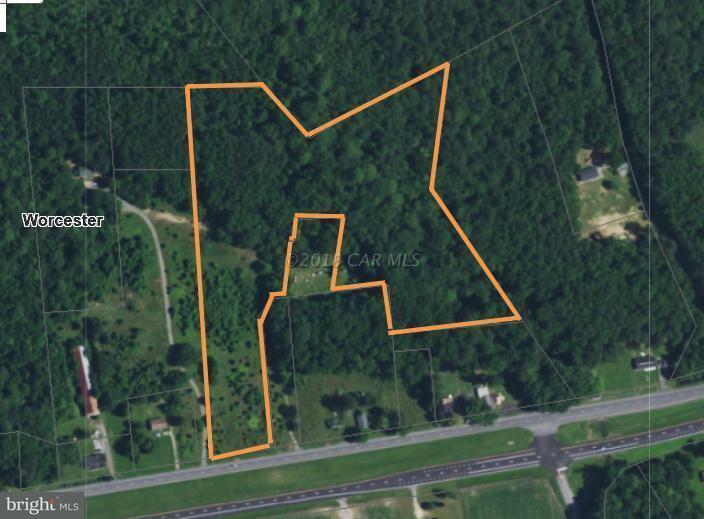 Possible building lot on road frontage section, but perc application has not been made by seller.